Jennifer Bilger is excited to bring a passion for helping people into her new business, The Growth Coach Denver Metro. Throughout Bilger’s career in Human Resources, she always focused on helping people. She enjoys being a trusted resource for any challenge that could arise and finding the best solution to take the next steps. Prior to launching The Growth Coach, Bilger spent many years working in Human Resources. Her most recent job was a Human Resources Manager for Charter Communications. She has also worked as a human resource professional for Support Inc., Media Audits International, Hérouz-Devtek and Economy Linen and Towel Inc. She also worked as a DOT Compliance Officer and Safety Manager in the transportation industry. Bilger stays active in the community by volunteering as a workshop facilitator for the University of Denver Alumni Groups Job Club. Bilger attended Kent State and the University of Akron, obtaining her undergraduate degree in Legal Studies. She later earned a Master’s Certificate in Human Resources from Cornell University. Bilger is especially excited about the Sales Coaching opportunities in the Denver Metro area. 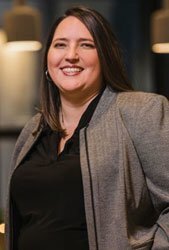 She has first-hand experience seeing much of the challenges and opportunities of the Denver market through her husband, a local business owner and who spent much of his career is focused on sales. “Sales Coaching is not about teaching sales professionals how to sell, it is about helping them realize their full potential and enhancing the skills they have spent years perfecting. Look at any great sports figure with extraordinary raw talent and skill – they are remarkable and incomparable in their fields. Great quarterbacks, baseball players, tennis stars, Olympians all have one thing in common, a great coach giving guidance, support and enhancing those skills to work with other great team players with exceptional skills. You can be the best in your field but fail to meet your potential without a great coach in the background giving the right encouragement and direction,” Bilger said. For more information about The Growth Coach Denver Metro, visit http://thegrowthcoachdenvermetro.com.